On this travel guide you’ll find much information needed in order to prepare your trip. 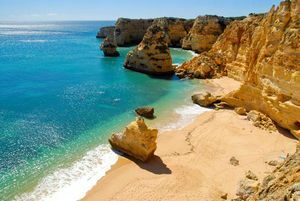 Discover Portugal and plan every detail of your trip with our fantastic tools and offers on hotels, apartments, flights, car rental and others. Portugal is considered the “garden planted near the ocean”, which means that this country, the garden of the Europe, resembles a mixture of occidental beauty with paradisiacal beaches, cosmopolitan beaches and rural traditional interior. The main visitor’s motives looking for this destination are, more than the amazing beaches and pleasant climate with an unique light, practicing golf, trying the exquisite unique gastronomy and also religious motives. This is an unique country, with a lot to discover. Start now exploring it. Video about the Portuguese Tourism , copyright Visit Portugal. What should I know about Tourism and my stay in Portugal? You’ll find a wide selection of hotels within every category throughout the country. On this section you might take a look at our offers for different hotels in portugal and book directly with them, online and safely. Whether you’re traveling by business or tourism, we recommend you to take a look at our accommodation in Portugal section to choose the best hotel for your stay. By visiting each section you might even read full description, prices and opinions from other visitors.. Which information should I know before starting my trip? How can you get to Portugal. On this section you’ll find information about the most common and comfortable ways of reaching this beautiful country. Discover how the bus system works, flights from the closer airports, what to do if you want to come by train and the best ways of reaching this country. What shouldn’t I miss on my trip here?. 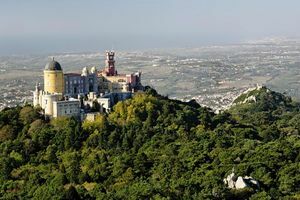 Discover which are the main towns and municipalities on this country as well as the main touristic attractions and must-visit sites, as for example, Lisbon. What to do in here?. You shouldn’t be surprised to know that Portugal is visited by more than 15 million tourists every year, once it offers many different leisure and tourism. Some of the most common activities pursued by tourists are: enjoying the beautiful beaches and its sun, practicing golf, getting to know its rich culture, practice different sports and engage in tours and circuits. Eating and tasting the typical portuguese dishes. Discover the Portuguese cuisine and its delicious dishes. Besides you might also find information about the main culinary events. Meet the main means of transport to go from one place to the other in, between towns and inside each city. Furthermore you might even find a seek engine with car rental offers and last minute deals. Discover why nightlife is one of the many attractions of this country and even alternative leisure activities.